The intellectual and religious revival made possible by the Carolingians was accompanied by fresh theological activity and controversies over doctrine. Indeed, as at so many other periods in the history of the faith, innovations in Christian belief and the consequent debates were evidences of vitality. One of the controversies centred in Spain. For a time after the Arab conquest the churches which survived south of the Pyrenees, and they were many and strong, were in part cut off from Rome. In the second half of the eighth century an archbishop, Wilchair, came in from the Frankish domains, apparently charged by the Papacy with carrying out reforms analogous to those which Boniface was working north of the Pyrenees. A bishop consecrated by him as a kind of Papal legate attempted to bring the date for celebrating Easter in accord with that of Rome, to introduce other Roman customs, and to prevent mixed marriages of Christians with Moslems. The vigorous methods of one of his subordinates aroused resentment among Spanish churchmen. More serious was a dispute over the nature of the Trinity. Here the Pope stepped in and reproved not only the extreme views of one of the most outspoken partisans of the Roman Church, but also those of Elipand, Archbishop of Toledo and as such the ranking ecclesiastic in the Spanish Church. Elipand held to a conviction about the relation of the divine to the human in Jesus Christ which may have come down from early Latin Christian thinkers and have persisted, distorted, because of the isolation of Spain from the theological discussions which had issued in Chalcedon. In an attempt to insist upon the full humanity of Jesus Christ, it held that though in his divine nature he was the Son of God, the human Jesus was only a son by adoption. To this doctrine Felix, Bishop of Ur-gel, also adhered, and Urgel was in the portion of Spain which late in the eighth century was brought under Frankish rule. Summoned to a synod at Regensburg in 792, Felix renounced the Spanish view. Out of deference to the Pope, Charlemagne sent him to Rome, where again he repeated his rejection of adoptionist views. He then returned to his diocese. However, the bishops in Spain maintained their position. Thereupon Charlemagne summoned a synod which met at Frankfort in 794 and in which were represented most of the Latin Church except that in the part of Spain controlled by the Moslems. The synod condemned the Spanish christology and to the documents embodying its findings Charlemagne added a letter of his own to the Spanish bishops, urging them to comply with the Frankfort decisions. Like some of the Roman and Byzantine Emperors, he was setting himself up as competent on theological issues. Moreover, although he was not yet a Roman Emperor and so had no ground for a legitimate claim of jurisdiction in most of Spain, he was assuming the right to speak to the churches of all Spain. He pled as a reason a request from the Christians of that land. Incidentally, it was this Council of Frankfort which condemned the pronouncement of the Council of Nicaea of 787 for its permission to pay reverence to images and regarded it not as an ecumenical gathering, but as one simply of the Greeks. The Council of Frankfort did not end the controversy over Spanish adoptionism. Even before the council had met, Felix, in spite of his solemn rejection of that position, had entered into an epistolatory controversy with Alcuin on the issue and the two continued the debate after Frankfort. In 798 a council at Rome called by the Pope condemned Felix's adoptionism. In the year 800 Alcuin and Felix met in a theological joust in the presence of Charlemagne at Aachen (Aix-la-Chapelle). Felix professed himself convinced and forswore adoptiomst terminology, but the authorities did not trust him and he was kept in confinement in Lyons until his death (818). Through lengthy letters Alcuin attempted to bring Elipand to renounce adoptionism, but the latter was obdurate and he and the other bishops in the Spain which was under Moslem rule continued to hold to it. In one respect the Frankish Church agreed with the Spanish Church. We have seen that in 809 a synod at Aachen approved the custom which had originated in Spain of adding filioque to the creed. More far-reaching in its consequences than the adoptionist controversy was a development of views over the nature of the Eucharist and the emergence of the conception of that central rite of the Church which was later called transubstantiation. Not far from 831 Radbert, or Radbertus, a monk in the famous monastery of Corbie, near Amiens, to whose name Paschasius is usually prefixed, a scholar widely read in Latin and Greek theology, wrote an extensive treatise on the Eucharist, which later, in a revised form, he dedicated to Charles the Bald. He held that while to the senses the bread and the wine in the sacrament remain unaltered, by a miracle the substantia of the body and blood of Christ, the very body which was his on the earth, is present in them. However, this change takes place only for those who believe it and accept it in faith, and it is not effective for the unbeliever. 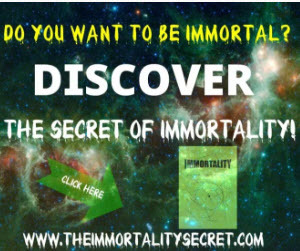 To the believer, as had been said centuries earlier, it is the medicine of immortality. This view did not win immediate acceptance. A distinguished teacher, author, and scholar, Raban Maur (Hrabanus Maurus), a pupil of Alcuin and abbot of the famous monastery of Fulda, denied that "the sacrament of the altar is truly the body of Christ which was born of the Virgin, suffered on the cross, and was raised from the tomb," but he held that the body of the risen Lord is present, even though not physically, and that to receive the body of Christ is to be united with Christ by faith in such a manner as to form with him a single body. Gottschalk, a former monk of Fulda, now imprisoned in a monastery for views which we are to note in a moment, indignantly rejected the suggestion of Radbert that the Christ on the altar suffers anew and dies anew, but he also differed from Raban Maur who seemed to say that the Eucharist was only a sign of grace, and maintained that the body and blood of Christ are mysteriously present as an objective reality, quite independent of the faith of the communicant. Ratramnus, like Radbert a monk of Corbie, in a brief treatise written at the request of Charles the Bald, held that the view of Radbert worked harm to the religious life, for since the effects of partaking of the Eucharist are spiritual, the bread of the Eucharist must be spiritually and not physically the body of Christ. To hold that Christ is physically present would negate the spiritual power and healing which are the true fruits of the sacrament. In spite of these criticisms, the position set forth by Radbert was nearer to that which was eventually endorsed by the Roman Catholic Church than was that of his opponents. Final official action, however, was to wait until the thirteenth century. Gottschalk was the centre of another controversy, that over predestination. As a child, the son of a Saxon count, he had been dedicated to the monastic life in Fulda. When he reached adolescence, he sought and obtained release on the ground that this had not been with his assent. Yet he did not return to the secular life and, although he left Fulda, was ordained to the priesthood and became one of the numerous itinerant monks of the time. He was a diligent student of the writings of Augustine and, attempting to support his position by quotations from that saint, held that, for reasons which we cannot fathom, God predestines some to eternal life and that those so predestined cannot fail of that life, while, on the other hand — and here was the chief point of debate — those who are not predestined to eternal life are predestined to eternal death. Obviously this was contrary to the official view which had been set forth in 529 at the Council of Orange. It will be recalled that the Orange gathering, while affirming original sin, declaring that turning to God is wholly through God's grace, and anathematizing those who declare that our will can anticipate God's action, also condemned the teaching that some are predestined to evil and said that if they labour faithfully all the baptized can perform those things which are necessary to salvation. Powerful opposition was ranged against Gottschalk. In it were the abbot of his old monastery, Raban Maur, and the aggressive and skilful controversialist, Hincmar, Archbishop of Rheims. They were willing to say that God foreknows the sin of those who are not elected to salvation, but they denied that He foreordains it. In 848 Raban Maur, now Archbishop of Mainz, had Gottschalk expelled from the realms of Louis the German. That action threw the unfortunate monk into the province of Hincmar and in 849 the latter caused him to be deposed from the priesthood and imprisoned in a monastery. This did not end the controversy. Gottschalk had powerful friends who rose to his defense. They came out vigorously against Hincmar and some councils took their side. However, in a council in 860 in which most of the Frankish domains were represented, it was Hincmar who triumphed, with slight verbal concessions to his opponents. An attempt was made to take the case to Rome, but a few years later the unfortunate Gottschalk died in his monastic prison, unreconciled to the Church. More radical than Gottschalk, but in another way, was Claudius, Bishop of Turin, who nourished under Louis the Pious. Said to have been a pupil of Felix of Urgel, he was an earnest student of Augustine. He vigorously denounced the reverence of images and the cross. In this he was in agreement with the general convictions in the Frankish Church. However, he also came out against the current practice of asking for the intercession of the saints. Even more striking was his attitude towards the Papacy. He was critical of the Pope, declaring that he is not to be called apostolic who sits in the seat of the apostle, but he who does the work of an apostle. The most eminent intellectual figure of the reign of Charles the Bald, John Scotus Eriugena (also called Johannes Scotus), was drawn into the controversies over the Eucharist and predestination. An Irish scholar, he was familiar with the great Greek theologians and translated the works of some of them into Latin, including especially Dionysius the Areopagite. In his intellectual position he was more of a Neoplatonist than a Christian, but in words and perhaps sincerely, he subscribed to the Christian faith. Some questioned his orthodoxy but he was protected by the friendship of Charles the Bald and by his superior scholarship, equipped as he was with a knowledge of the Greek as well as the Latin writings to which the Church looked as authoritative. His was a powerful and philosophically subtle mind and in the disputes of the day he undercut both parties. For instance, in the issue of predestination and foreknowledge, he declared that from God's standpoint there is neither past nor future, for, since He is eternal, He sees all of us and at once. He declared the disjunction between foreknowledge and foreordination to be false, because God can know only what He docs. He also held that evil has no real being. Eriugena was too formidable to be tried for heresy by his Frankish contemporaries, but in 855 and 859 his views were condemned by synods.